Today, 15th December 2010, marks the end of the life of the British airforce’s most innovative fighter jet, the Harrier “Jump Jet”. The Joint Force Harrier jet is 40 years old, and although now considered old technology, is still one of the best planes operating off air craft carriers. RAF Cottesmore has been home to the Harrier for the last 4 decades, but government cuts mean that it has to close. I only ever saw the Harriers in action once during a family outing to Portsmouth over 25 years ago. They looked so graceful flying across the sea, and they turned a bowed to all the spectators along the seafront that were watching. I am not a military type person at all, so this blog is really very superficial. However, I do find it odd that the UK is scrapping an aeroplane that several high ranking / ex-admirals feel that they should keep. 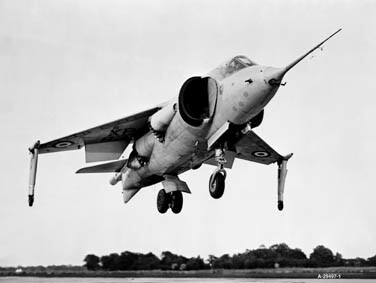 The BBC News sites mentions that Admiral Sir “Sandy” Woodward, who commanded the British Task Force in the Falklands War, is petitioning to the prime minister to save the Harrier. Also Admiral Lord West, a former First Sea Lord, says that we are taking a big risk as the Royal Navy will be vulnerable for the next 10 years while we wait for the new ships to set sail. Maybe the World has moved on and the Navy is no longer required as it was before, with the emphasis on controlling air space and using ships for little more than transport? If you want to see the final flight of the Harrier then the BBC are covering it all day it seems. On Breakfast news they mentioned that the final flight is due to take off at 1pm and land at 2pm, no doubt both will be shown on BBC News 24. I saw this news item on the BBC in Canada. I seems a real shame to stop using the Harriers especially as they still have to wait for new ships. I wonder what will happen to the pilots? The public can now view a petition to the prime minister to get the decision to scrap the Harrier Jump Jets reversed. They should go to web site ipetitions.com then under petition search enter britishharrier to view petition.